Published April 24, 2016 at 1243 × 776 in 1980. 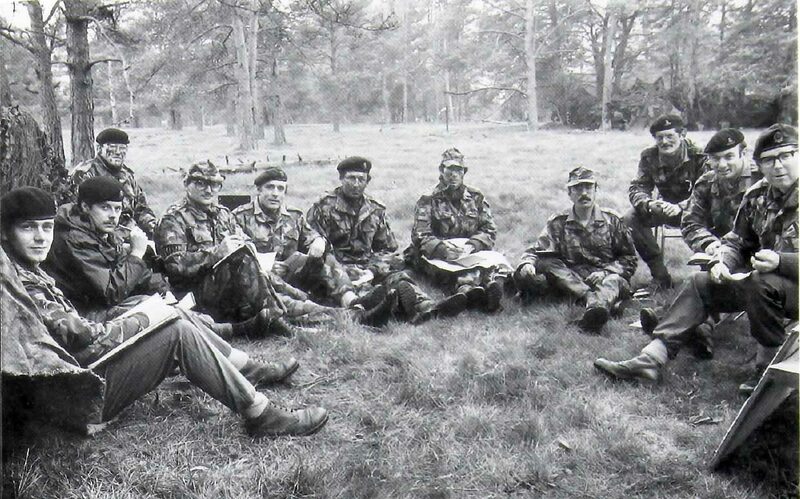 Some very familiar faces in this one, Col Simon Boucher, Major Richard Holmes, Major Chris Parkinson, Captain Tim Oyler, Captain Willie Harper, Captain Peter McCardle and some I Cant remember their names! Great photo!